The primary purpose of EDB is to provide a rigorous but inclusive outlet for student-choreographed works of dance. EDB produces a showcase of student work twice each year (beginning rehearsals in the fall for our winter show) and casts all dancers who audition in at least one piece. 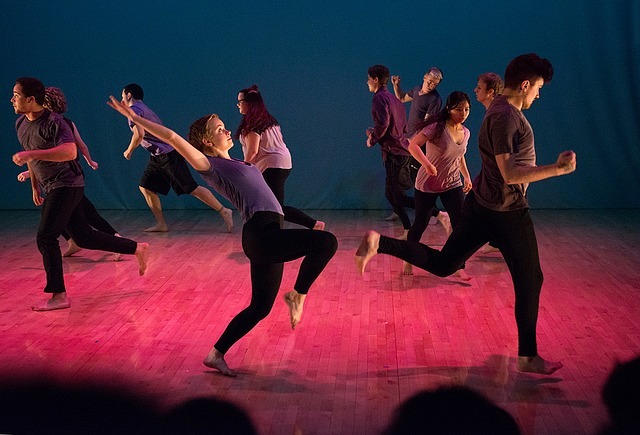 EDB also works to provide further dance opportunities for dancers of all levels on campus. Information page on EDB's mission and performance opportunities. Information on EDB's audition and performance process. See calendar for dates. Profiles of EDB's current directors. Gallery of images from performances to be updated seasonally.